Today is reveal day at My Creative Scrapbook. 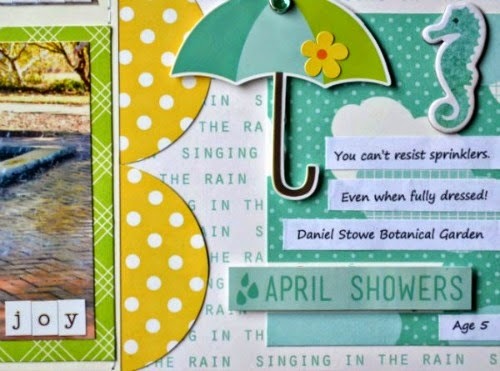 The new May kit is sunny and happy and, well, a little bit rainy. Yep. I played on that latter theme for my first layout. 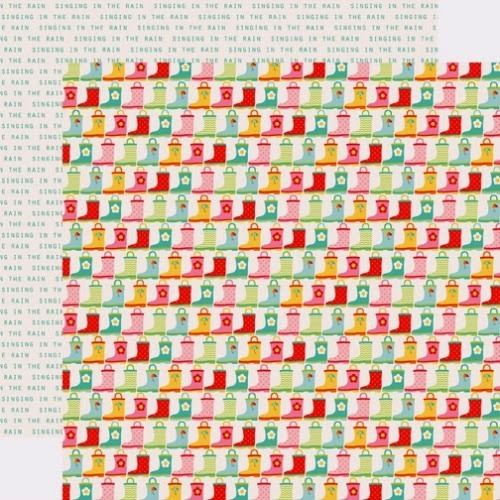 The May Creative kit featured Echo Park Paper's Sunny Days Ahead collection, which includes images of the sun, of course, but also clouds, umbrellas and rain boots. The front side is adorable, but a little too girly for my scrapbooking my son. The B side, however, was perfect. It has the text Singing in the Rain repeated over and over. 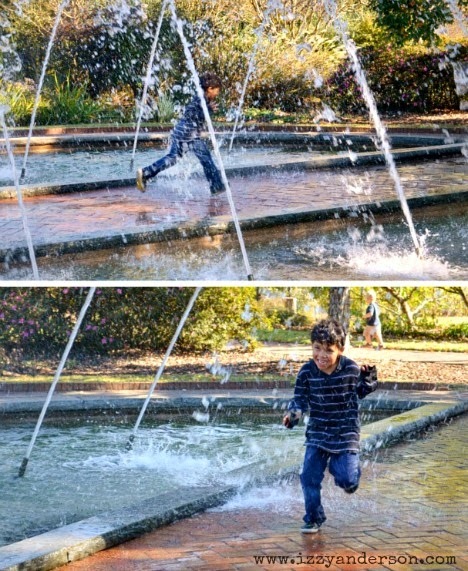 The paper made me think of these photos I took last year of my son playing in the sprinklers, fully dressed, at our local botanical gardens. The photos aren't perfect. It is hard to capture crisp, sharp photos of an active child. Plus, there was the issue of not wanting to get my camera wet in the spray. But the photos captured the joy of a child and that's what I wanted to scrapbook. 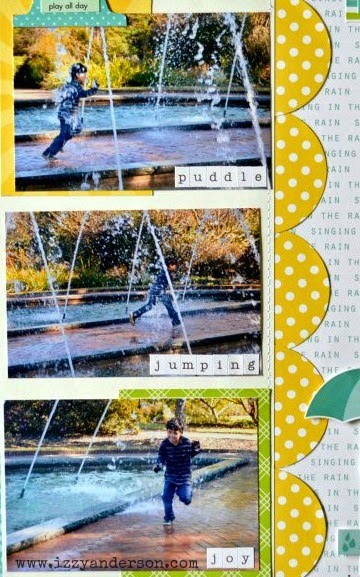 I chose a series of three photos from that day and used the Singing In The Rain paper as my background with large yellow circles for a pop of color. In the bottom corner, I used a journaling card to anchor my page. We actually were at the gardens in late October last year for a Halloween event. So, I wasn't even thinking that my 5-year-old would run through the water spray. It was October! 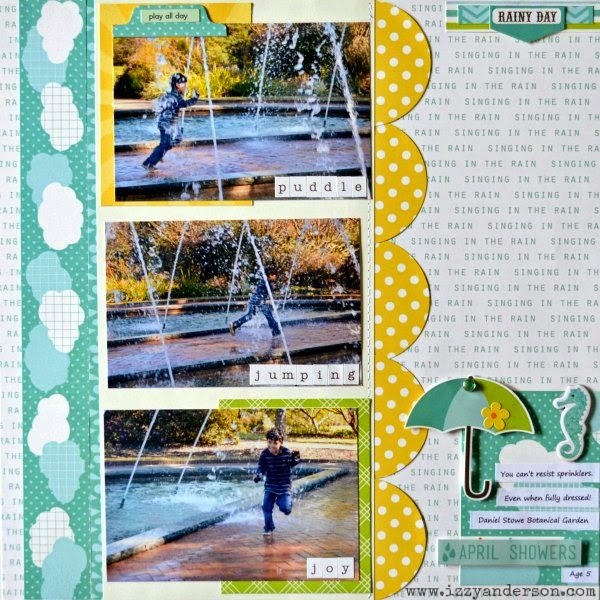 But, as my journaling says: you can't keep a kid out of sprinkler. Here's one more look at the whole layout. 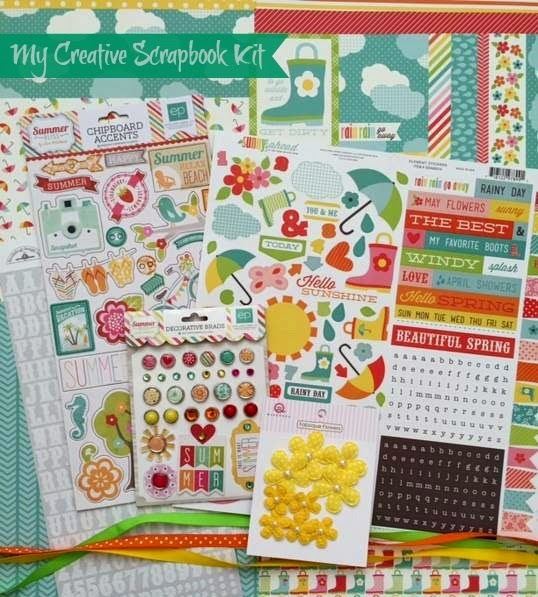 My Creative Scrapbook offers a main kit, creative kit, limited edition kit and an album kit each month. You can find all the details on their website. Thanks so much for stopping by. I'll be back tomorrow with another layout from this kit. A sunny one, I promise! Fab page, and the kit does looks scrumptious for summer. Love love love this! LOVING the colors and those fun photos!!!!! This is such a fantastic page! Love those pictures! !